Poor organization design stops many organizations from achieving high performance. Of this you can be sure ... every day you, as a leader, are making organizational design choices ... problems emerge when you don't fully appreciate the impact of choices you make. For an organization to thrive leaders need to stop thinking of people as expendable, whose hands and head are more important than their heart ... instead of thinking "How can we get them to work harder/faster/better?" The high performance leader's mindset shifts to "How do we create the conditions that inspire commitment to our organizational goals?". In traditional organizations, the design of the organization is focused primarily upon the set-up of the work processes system (how you get the job done) and is primarily the responsibility of technical people (e.g. Engineers or Computer Technicians) with some input from H.R. Unfortunately, with a traditional start-up often H.R aren't seen as prime drivers of the design. Consequently, little to no time is spent upon understanding the social system and the needs of the people who will be working with 'the system'. Generally, the people who have to work with the resulting design have to live with and make the best of the what they have. Contrast this with a high performance organizational design. Consideration is given to the needs of the technical system, ALONG WITH the social system AND the results the business is trying to achieve. And, the design process is done using the input of both management, H.R, technical specialists AND the people who will be working within the system. In other words, those who have to live with the system are active participants in designing it. It is important to note that an organization's design isn't static. Whilst it is the solid foundation upon which your organization thrives, the design choices should also be dynamic. It needs to be flexible enough to shift with changing needs, yet resilient enough to stand the test of time... much like the constitution of a country. Therefore, don't view your organization's design as set in stone and don't abdicate your responsibility to H.R -- instead partner with them so you have the best chance to design your workplace for high performance. Any H.R specialist, worth his or her salt, will be jumping with glee when you rock up to their door wanting to understand organizational design and how it impacts on your team and performance! 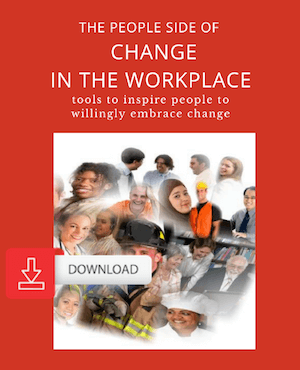 The other thing that you need to get pretty clear about, is when you make a decision to change an element, in the way your work gets done, that this change will have an impact on other elements in your work system. See the organization redesign page for more on this important point. all impact each other and impact on the organization's performance. To change your organization culture you need to adjust the design that glues it together ... and understand the impact of those design choices. When Should You Do Major Organization Re-Design? Outside of a greenfield start-up situation, the reason for engaging in major organization re-design activities, is because your business needs to change, in a sweeping way, in order to be competitive. In other words, there is a gap between where we are now, and where we need to be in order to stay in business. If you have any one of the three in this triangle discontented, then that is your clue that a re-design of your works processes and organization systems is called for. Which of the three elements is letting your business down? If it is discontented employees, then become a member of the Make A Dent Club and access "How To Motivate Employees". Don't mistake continuous improvement for organizational design. Continuous improvement is more about small, step-by-step changes. A re-design is more about large-scale changes that impacts on many areas of your business. Of course, there is overlap between the two -- so, when you are making a continuous improvement change, you do still need to consider its broader impact on other systems within your business, but generally those changes aren't as wide-reaching as when you do a re-design. Here is one, organization redesign approach, that I've successfully used ... there are many others ... just keep in mind it is just ONE approach, and may not work for your business or work environment. It is important that any organization design change is approached systematically, and you have long-term commitment from the leadership team to follow through, even when it gets tough. Realize this: Whether you choose to use a structured organization design model or not, you are constantly making design choices that impact on the culture and work systems and consequently the performance of your business. In fact, there are four choices available to you about how you fix the problems you need to overcome to stay in business. Most organization's don't go down the path of systems design. Instead, they take the quick fix and copy others route. Then in 12 months or so time they are scratching their heads wondering why things haven't dramatically improved! How do you go about trying to improve your organization so you stay in business? Don't be mistaken, creating a high performance culture isn't founded upon putting people in teams, providing quality of work life and balance, or your leaders all going to a course and learning how to be nice, inclusive and inspiring! A high performance culture comes about, by taking a systematic approach to organization design and changing your work processes and practices, so that they deliver the results your organization desires. For example, in one company I worked with, one of their re-design choices was to change the way they produced their product, so a team became responsible for the entire production process -- from start to finish. Where prior to the organization re-design, this work flow had been broken up into several smaller teams. Certainly, it is much easier, when the organization design is being done on a greenfield site ... one of my most fulfilling work experiences was as the People & Culture Leader, leading the design of a greenfield site, for Colgate-Palmolive. At start-up you have no established culture, no (or at least few) cynics and skeptics to overcome. Doing an organization re-design requires more political savvy and influence to build the support, and tip people over the edge to committing to the new way of doing things. It takes a lot more patience and time. 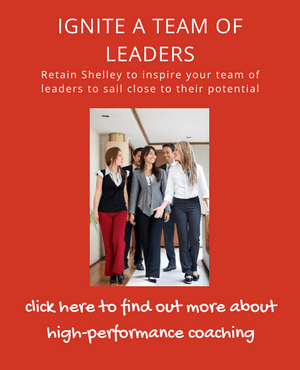 Re-design of your organization structure and work processes to high performance is an exciting time for any leader. You will grow, learn and develop ... and from this you will step into even more of your potential. Enjoy your journey as you deliberately design and create a workplace that will be successful for the long term. You will feel exceptionally proud to have been a part of the process. Guaranteed!